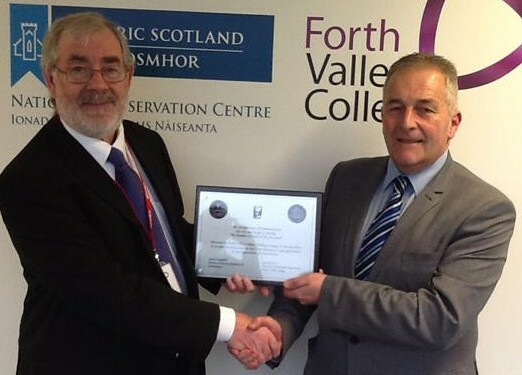 In recognition of their collaboration with Forth Valley College Stirling Campus, the Deacon of the Incorporation of Hammermen Stuart Campbell presented a commemorative plaque to Ian Morrison, Head of the Construction Department. As part of their own going relationship, Deacon Stuart presented certificates and cheques on behalf of the Hammermen to the five best joinery and stonemason apprentices at the College. 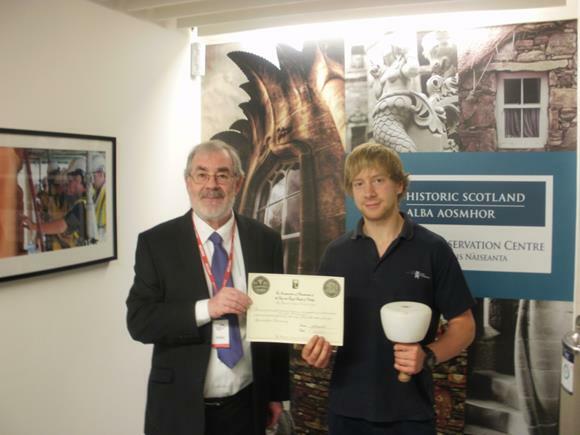 Shown below is the presentation of a certificate to 2nd year Historic Scotland apprentice stonemason Michael Renshaw. 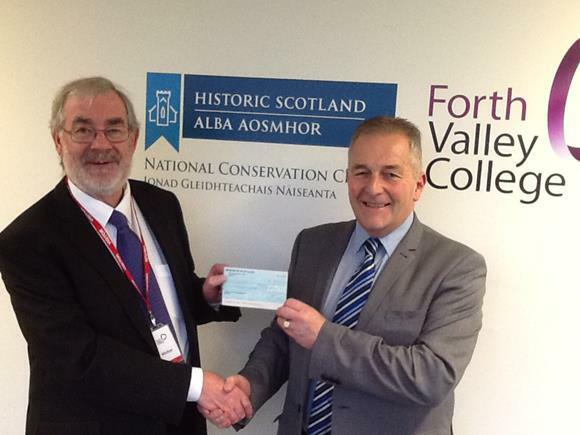 This entry was posted in Uncategorized and tagged Forth Valley College Stirling Campus, Hammermen, Historic Scotland. Bookmark the permalink.